You can have these done and dusted within the hour. 5) Pour the wet ingredients in to the bowl full of dry ingredients and give it a couple of stirs until JUST combined – it will be lumpy! 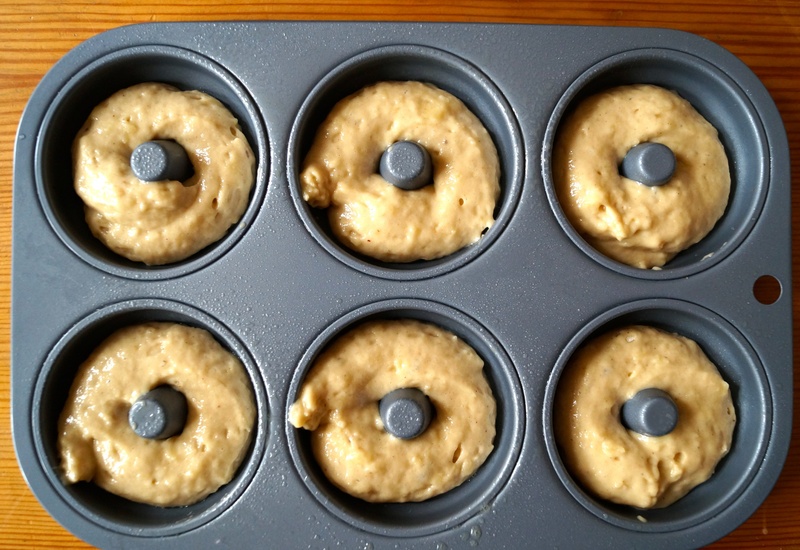 7) Bake for 8-10 minutes until the doughnuts are lightly browned and springy. 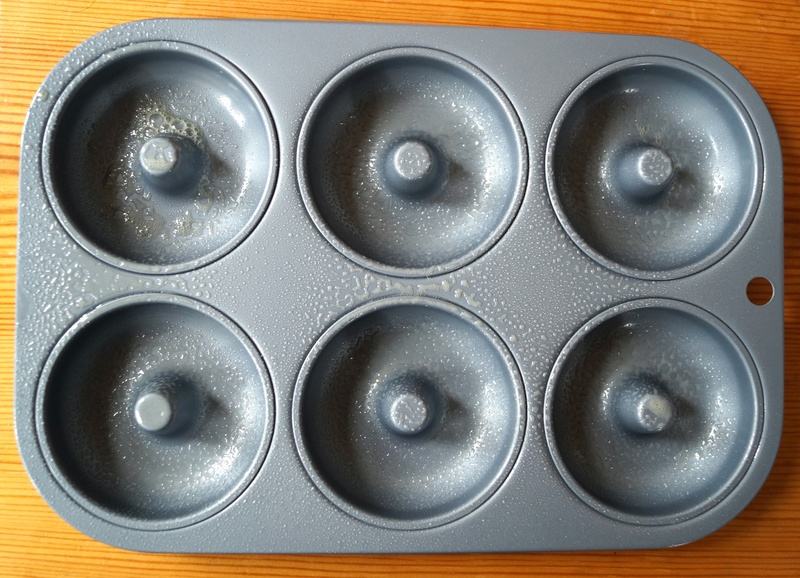 Keep repeating until you have used all of the batter. Cool on a wire rack. 8) For the chocolate glaze, heat the chocolate, butter, golden syrup and water in the microwave (stopping every 30 seconds to stir) or heat in a glass bowl over a pan of simmering water until smooth and glossy. 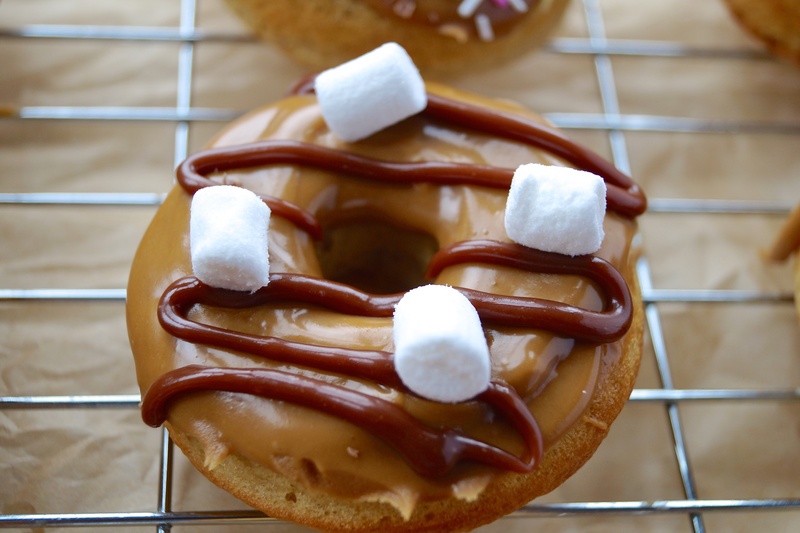 Dip the top of the doughnuts in to the glaze and use the back of a spoon to smooth it out. 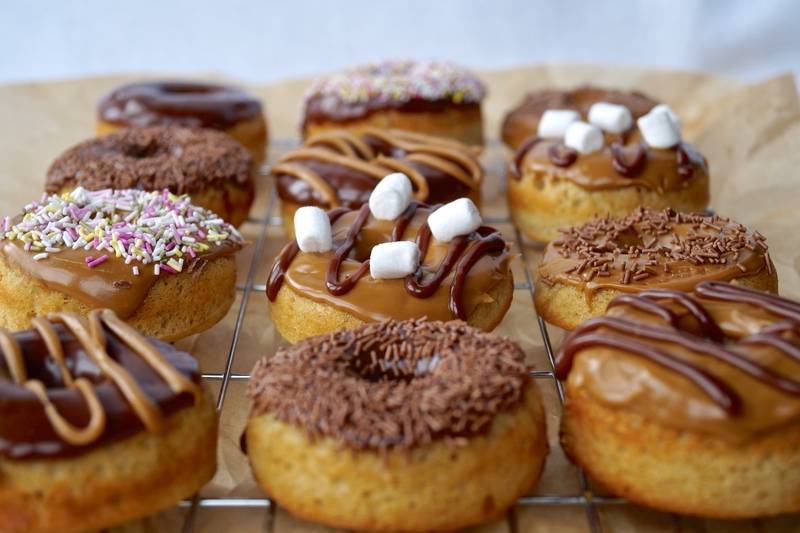 If you want ALL chocolate glazed doughnuts then double the amount stated but I like to switch it up a bit and have a couple of different flavours going on. 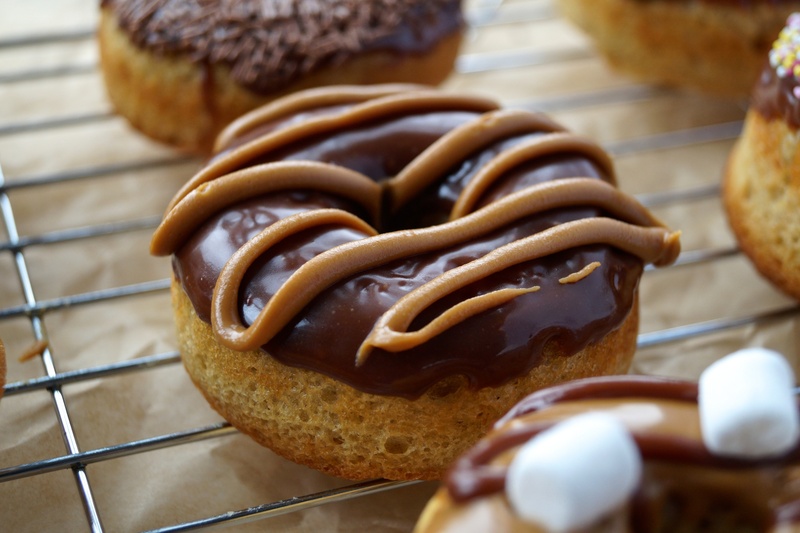 I used some biscoff spread to glaze the rest of the doughnuts and simply heated a few heaped tablespoons of the stuff in the microwave and dipped the doughnuts in. 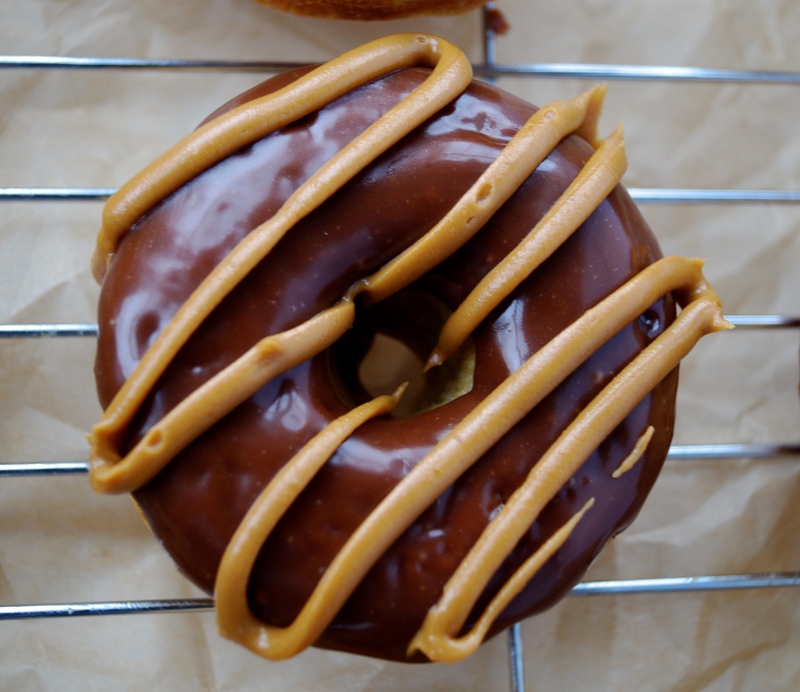 To save even more time, you could glaze all the doughnuts this way using whatever spread you like (peanut butter, nutella etc etc). 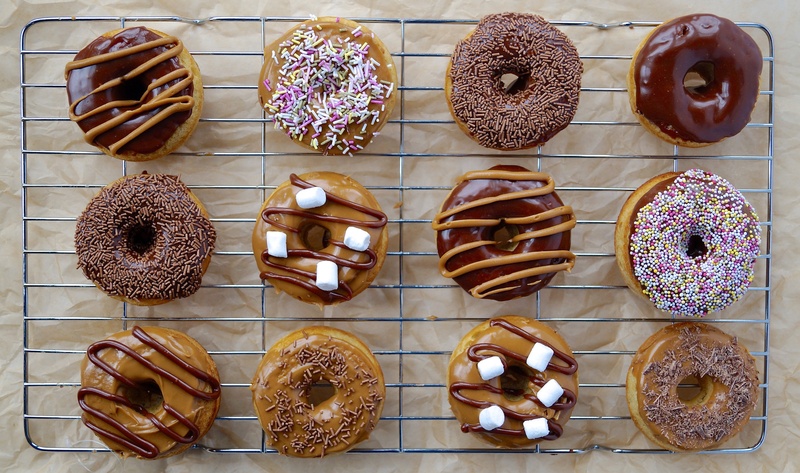 Decorate with lots of sprinkles or anything you have lying around!